We are so excited to welcome Margaret Carson to Makara Center for the Arts! Dr. Carson will share a stunning presentation of Remedios Varo’s paintings, accompanied by excerpts of the newly translated Letters, Dreams, and Other Writings. Join us for an afternoon of tea, fine desserts, and marvelous discoveries. For fans of translated literature, alchemy, surrealism, painting, and cats — you don’t want to miss this event! Floral and fantastic attire encouraged. Margaret Carson investigates and writes on issues in literary translation, gender and translation, visualities in writing, and women surrealist artists/writers in the Americas. She has published widely as a literary translator from Spanish to English. 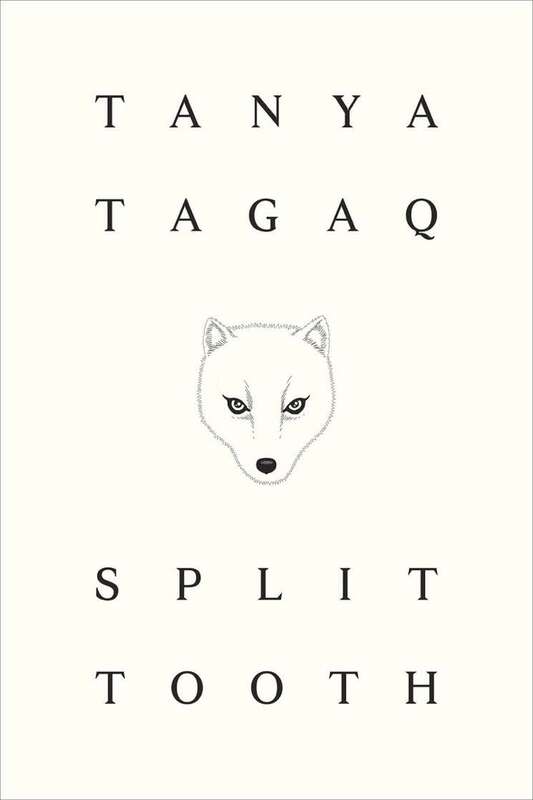 Authors translated include Sergio Chejfec (Baroni, A Journey, Almost Island Books and My Two Worlds, Open Letter Books), Remedios Varo (Wakefield Press), Teresa Ralli (HemiPress), Jose Tomas de Cuellar (Having a Ball, Oxford UP). 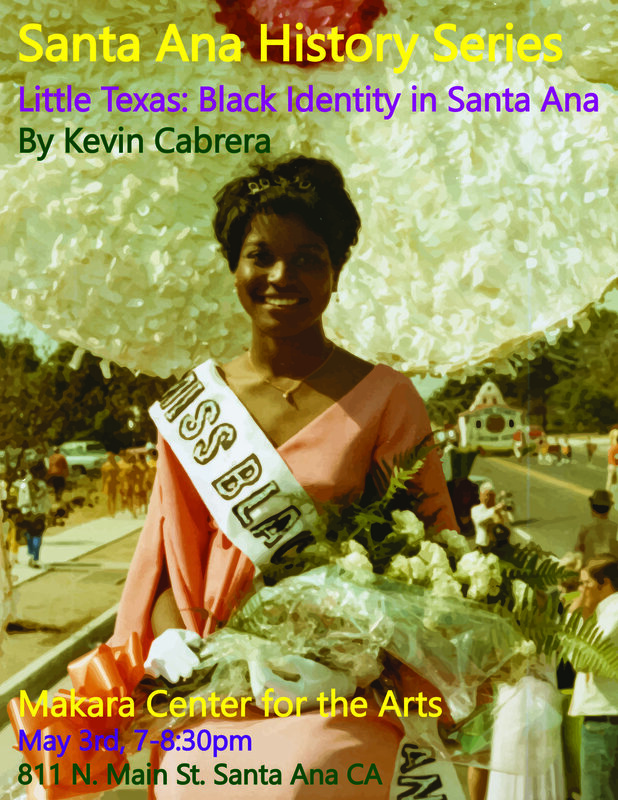 The Santa Ana Grants Equity project will launch May 20, 2019 at Makara Center for the Arts. SAGE is a monthly workshop from May-July, culminating in a five-week SAGE Intensive in August. Participants will also get a certificate of completion and access to "Grants Office Hours" for the remainder of 2019. The SAGE Project will help participants identify funding opportunities, write successful grant narratives, determine and measure outcomes, and get on a path towards creating sustainable revenue for their project. The goal is to get participants truly submission-ready for 2020, with practical advice and direction on a pathway that fits their idea. This project is intended for artists, individuals, or organizations/collectives who are working in arts and culture in Santa Ana, who come from communities that have been traditionally underrepresented in terms of grants funding, and who have a project idea they would like to work on. Participants do NOT need to have nonprofit status as their goal; this workshop series is also for people that want to make it work as a non-non-profit. Application and additional information will be released on May 1st. In considering who is "traditionally underrepresented," we will consider language, socioeconomic status, immigration status, disability, age, and/or LGBTQ+. Discover a new way to read the world around you! Join us at Makara Center for the Arts on Sunday, March 24 for an afternoon exploring the history, practice, and cultural impact of tarot cards. Featuring discussions, interactive activities, readings, and unique vendors. Zines, candles, unique jewelry, crystals, and tarot books available for sale from Adrienne, Eva the Sea Witch, Arte Sana, The Hype Priestess, and the Makara Shop. Akashic records reading by Crystals of Altamira. Tarot card readings and unique gifts by Angela Mary Magick, The Hip Witch, and Zen Bruja. In celebration of the city’s 150th anniversary, Manuel “Manny” Escamilla continues his fascinating lecture series exploring the history of Santa Ana. 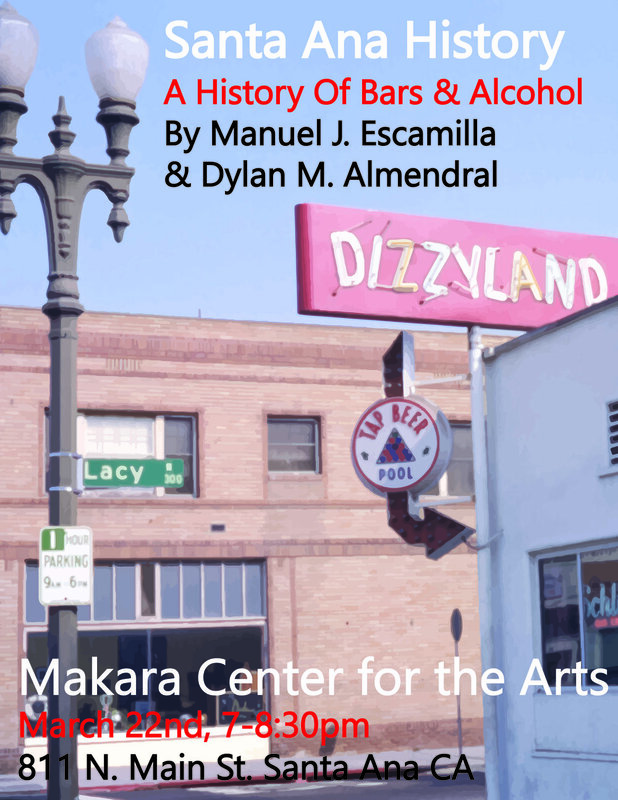 In March, we will explore the history of booze in Santa Ana and will be joined by historian Dylan M. Almendral. Special thank you to THE GOOD BEER COMPANY for their generous donation of tasty craft beer brewed right here in Santa Ana! Guests 21+ years can enjoy craft beer and wine before and during the presentation. Makara has capacity for about 60 people. Please arrive early/on time to secure a seat. Entrance is first come, first serve. 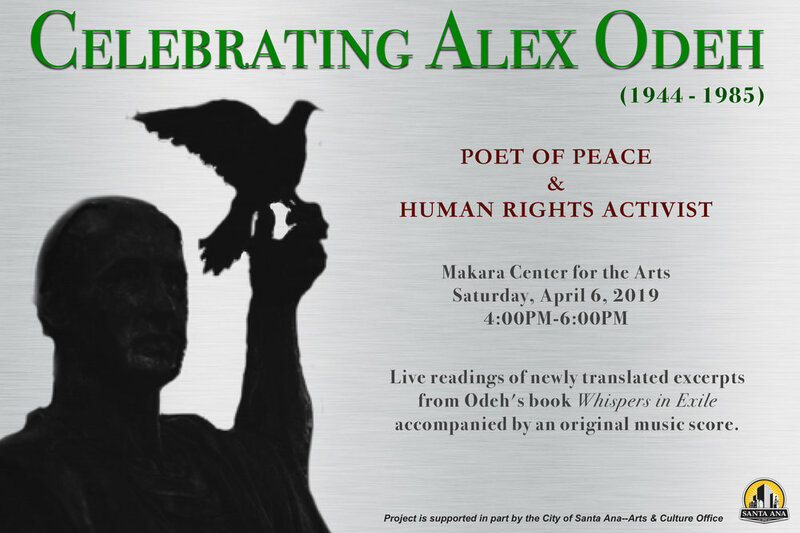 100% of proceeds will support the Makara Library and free arts education programs. Makara is exercising our green thumb! As part of the city’s Boca de Oro festival, Makara is hosting an evening devoted to the wild and wily nature of plants. Part One: MIDI Sprout is a new form of technology that uses sensors to capture biodata from plant life, converting electromagnetic currents into musical sounds through the use of software and synthesizers. In essence, plants become bandmates that help musicians create compositions and improvisations. Spooky Action Labs will be demonstrating this innovative new technology at Makara, in a special preview of two upcoming performances that will use MIDI Sprout to highlight the history and culture of Santa Ana during the city's 150th anniversary year. A lifeless body is found in a garden of sinister carnivorous plants. What happened? Learn to use Makara Library resources to find clues and solve the mystery. Successful detectives will be entered in a drawing for strange & delightful prizes! Open discussion of tarot cards and their meanings, symbols, and everyday uses. Feel free to bring your own deck and books to share. Makara Library also has several decks available for reference including The Black Power Tarot, The Baroque Bohemian Cats Tarot, Tarot of the Orishas, Pamela Colman Smith Tarot, The Afro-Brazilian Tarot, The Animal Totem Tarot, and many more sample cards courtesy of Llewellyn Books. Please bring your favorite mug/thermos and/or bagged teas to share with the group. Hot water provided! Join us on February 27th as Los Angeles Arts Society presents award-winning author and broadcaster Manny Pacheco and his most recent book Road to Forgotten Hollywood Forgotten History at Makara Center for the Arts! The third entry in Manny’s critically-acclaimed Forgotten Hollywood series, "Road to Forgotten Hollywood Forgotten History" continues in the footsteps of its predecessors by diving into the lives of classic character actors and explaining how their stories tied into American history and culture. Filled with interesting facts and Manny’s own keen observations, the book explores the careers of such talent as Casablanca’s Conrad Veidt, The Jungle Book’s George Sanders, and Bride of Frankenstein’s Elsa Lanchester. Starting at 7PM, Manny will share choice bits of forgotten history he’s learned along the road in a lecture, followed by a Q&A and book signing! Admission is free and copies of all three Forgotten Hollywood books will be available for purchase on-site. We would like to thank Manny for joining us, and hope you’ll join us on the 27th as well! MANNY PACHECO is a radio and television personality from Orange County, California, with a career spanning almost four decades. He was a co-host of the Daytime Emmy-nominated, In Studio on KCOP 13 in 1989/1990. He also appeared on NBC’s Santa Barbara, and moderated public television pledge drives (KCET in Los Angeles). He had a principal role in the documentary, Karaoke Fever, which was featured at the Los Angeles Film Festival in 2001. Since 1980, Manny has been an on-air broadcaster, newscaster, and traffic reporter for stations in Los Angeles, including KRLA, KFI, KBIG, KKBT, KDAY and KLAC, and currently, on KNX 1070 News Radio as a weekend traffic anchor. He also hosts Forgotten Hollywood, a web-television podcast on TherapyCable Channel. He works in voice-over and commercial acting, and clients include FORD, GTE, ARCO, MILLER LITE, and HONDA. A 34-year member of the Screen Actors Guild and the American Federation of Television and Radio Artists (now SAG-AFTRA), Pacheco wrote an article about his experiences at the 2008 Screen Actors Guild Awards that appeared in LARadio.com. He is also a member of Pacific Pioneer Broadcasters. Manny received his undergraduate degree at UCLA in Bachelor of Arts, Political Science. He has taught Advanced Radio Broadcasting at Fullerton College; and most recently, at Mt. San Antonio College. And, he is the award-winning author of the Forgotten Hollywood Book Series. Pacheco is a resident of Cypress, California. Learn how to make unique arrangements using grocery store bouquets! Santa Ana History: Santa Ane Before 1900 A.D.
Discusión de conceptos matemáticos para adultos. Aprender los símbolos de matemáticas? Poder ayudar a sus hijos con su tarea? Acompáñenos en platicas de matemáticas con un ingeniero aerospacial retirado. Thinking about starting your own 501(c)3? This workshop will provide an honest overview on the basic steps to starting a nonprofit organization. *You Mean I Still Have to Pay Taxes? SPECIAL GUEST: Adriana Sánchez Alexander will be available to answer questions on grant funding and fiscal sponsorship. 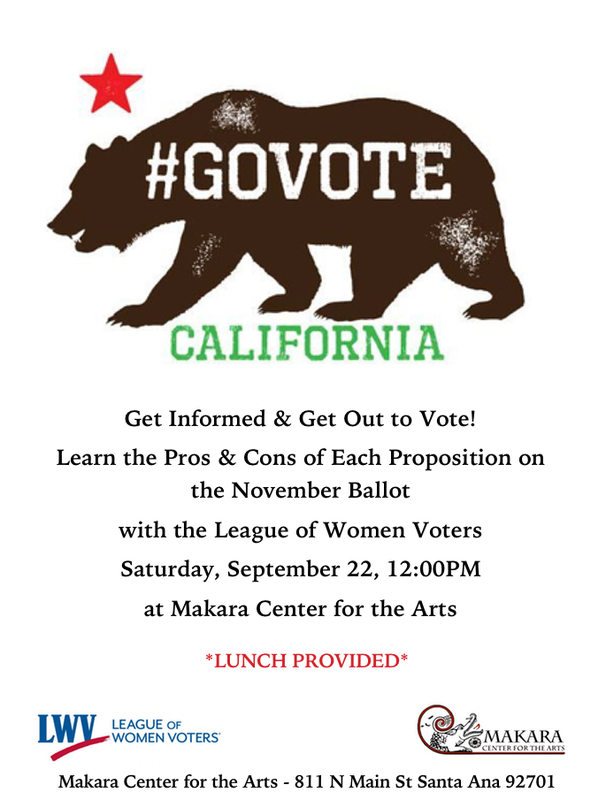 The workshop will be led by Marytza K. Rubio, founder & executive director of the nonprofit Makara Center for the Arts. Marytza has over 15 years of experience in nonprofits. In addition to working as a creative writing instructor for WriteGirl! and events volunteer for the Museum of Latin American Art in Long Beach, Marytza has held positions including special events coordinator for the Friends of Santa Ana Zoo; program coordinator for PEN America Emerging Voices Fellowship; and grants manager for the Illumination Foundation, where she was responsible for securing over $2 million a year in funding. Building on these experiences, she founded Makara in her hometown of Santa Ana in 2016. Adriana Sánchez Alexander is a writer, educator, and cultural worker from Santa Ana, CA with a background in designing and implementing community-based arts projects. She is a founder of Workshop for Community Arts (2007), an arts collaborative that works across artistic disciplines to re-imagine what it looks like to create art in partnership with community. In 2016, Workshop for Community Arts was a recipient of grants from the California Arts Council and the National Association for Latino Arts and Culture. With approximately 10 years of grants experience, Adriana has written all kinds of grant applications for all kinds of organizations, both arts-based and not. She has developed grant narratives for dozens of organizations as a Grants & Communications Consultant for The Olin Group (a nonprofit consulting firm in OC), as Development & Communications Coordinator for the Teaching Artist Support Collaborative of California, and as Grants & Communications Manager for ACCIÓN Texas. She also formerly directed the Writers in Communities program at Gemini Ink, a literary arts nonprofit located in San Antonio, TX, where she oversaw the successful writing and implementation of an NEA Arts & Aging grant for intergenerational storytelling. She received her MFA in poetry from UC Irvine in 2009 and a Master of Public Policy degree, also at UC Irvine, in 2015. The first of a monthly series of presentations in which local historian Manuel 'Manny' Escamilla outlines his efforts to write a history of Santa Ana. Learn the science behind the sounds with master circuit bender Jeff Boynton! Musical instruments can be made out of discarded electronics, toys, and other unexpected materials.